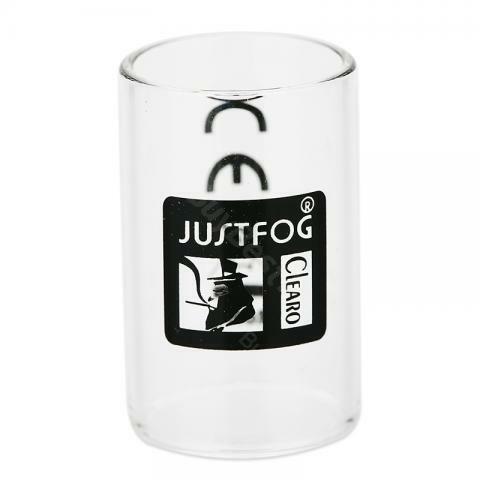 The JUSTFOG Pyrex Glass Tube is designed for the JUSTFOG Q16 atomizer. Clear color and of durable glass. You can replace the old or broken tube freely with this one - perfect. Get it as a spare part just in case! The JUSTFOG Pyrex Glass Tube is designed for the JUSTFOG Q16 atomizer. Clear color and of durable glass. You can replace the old or broken tube freely with this one - perfect. Get it as a spare part just incase! • It is for JUSTFOG Q16 Starter Kit. Fast shipping (less than 30 days to ISO) and well packaged. Tube is absolutely unique so it fits perfectly! JUSTFOG Q16 Pyrex Glass Tube for Justfog Q16 Atomizer Vape Pen is made of pyrex glass.